Life of Eczema Girl – Uniform Button Frustration! 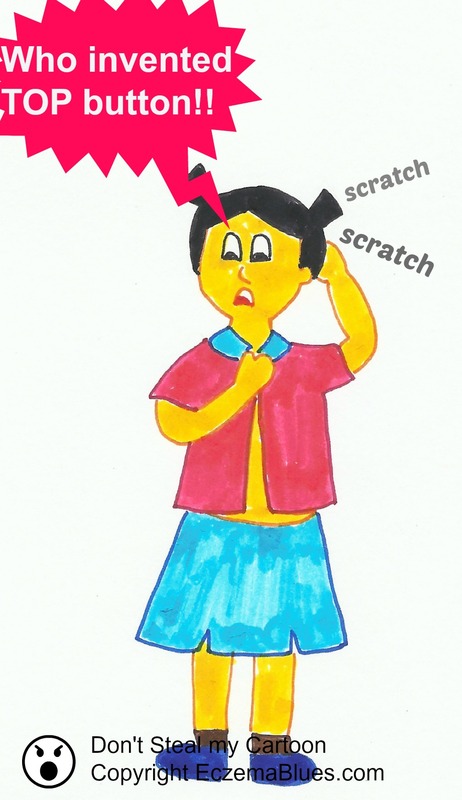 Posted byMei 5 May, 2014 17 March, 2014 Leave a comment on Life of Eczema Girl – Uniform Button Frustration! There are just days when everything is frustrating for a child with eczema, and better not let this be morning! This is the 41st of my 2nd cartoon series, ‘LIFE OF AN ECZEMA GIRL’. And for more morning tantrums from eczema girl, see here and here! For more cartoon in this series, check out here.